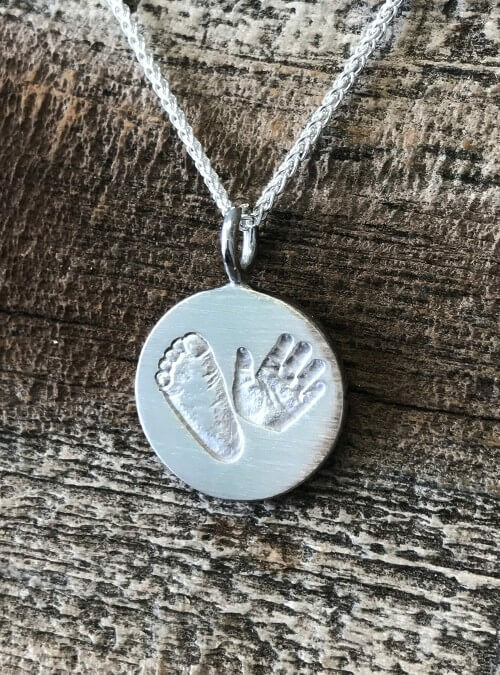 Capture that tiny, pudgy hand and footprint before they’re all grown up! Don’t settle for less than Dimples High Definition technology to create a treasure you’ll cherish for a lifetime. A hand, a foot, both, whatever combination you choose. 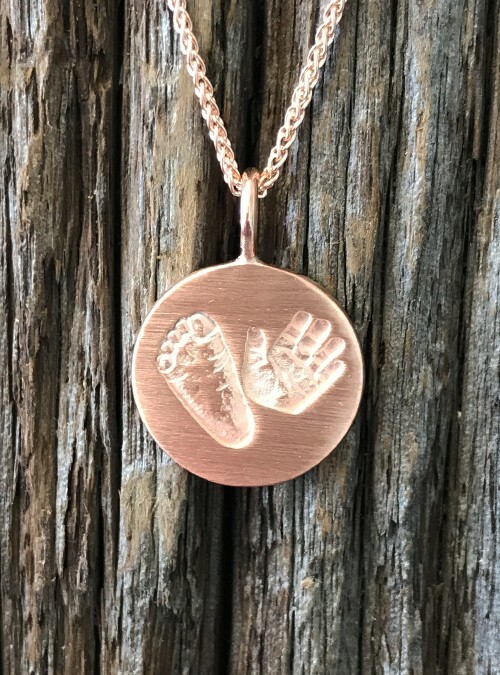 That sweet hand, those cute toes, forever captured in a white gold charm, 19 mm in diameter, and on a white gold chain. Upload a clear, in focus, jpg image of the palm of the hand and/or sole of the foot using ‘Upload a File’. Or you can upload a high res (600 dpi) scan of ink prints. Or email your images after you purchase to [email protected] citing your order number. Charm is 19 mm in diameter. Bail (opening where chain goes through) is 4.3 mm in diameter. Engraving on the back is included: 2 lines of engraving, max 10 characters on each line including spaces and punctuation.